Here they are! Our partnership with Death Wish Coffee Company solidified in solid chocolate! We have a limited supply to sell (in store only), or you can purchase directly from Death Wish. 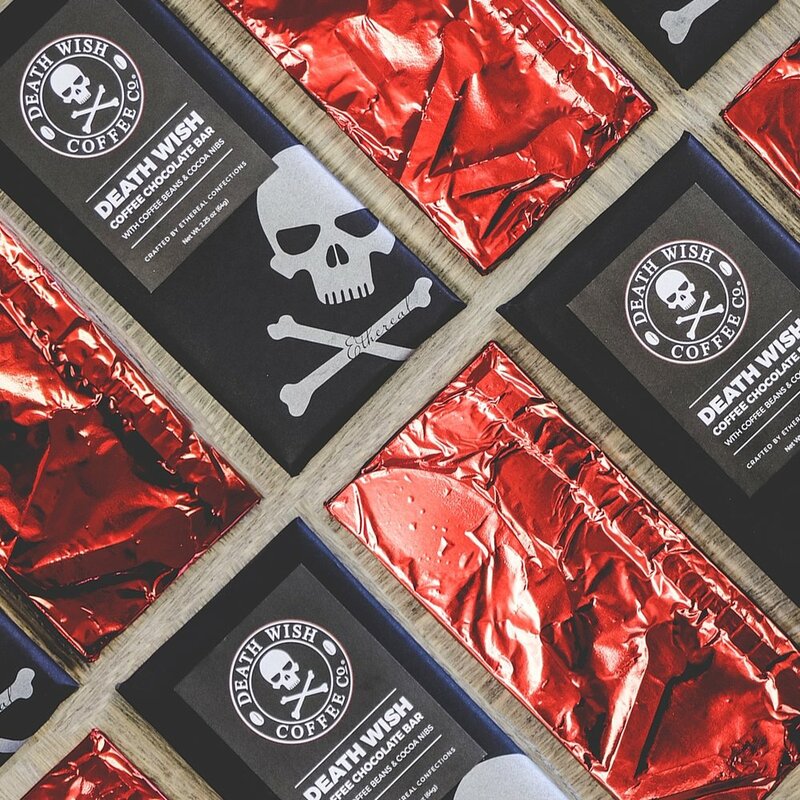 A special blend of our chocolate and Death Wish coffee, these caffeinated bars are topped with cocoa nibs and crushed whole bean coffee and imprinted with the signature skull and crossbones. Extreme deliciousness. Working together with Death Wish Coffee, known for serving up the world’s strongest coffee, we’ve created a signature chocolate bar set to release later this year! This special blend of Ethereal chocolate and Death Wish coffee creates a unique flavor profile, intensifying the ingredients in the best way possible. We are truly excited about this new collaboration!